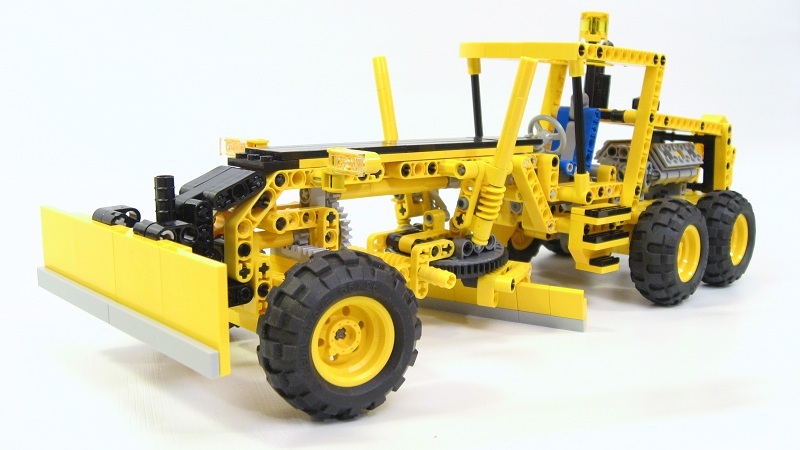 Recently the French forum SeTechnic, raised a challenge for whom builds the best LEGO Technic Grader, under 600 parts. Niveluse in French, as you may have seen a bunch of them popping at Brickshelf). There was a total of 23 participants and some great models under contest. And finally the winner was chosen thru one online poll, which ended the last 11th of March. I'd like to make here a tribute to the excellent model from Benny, who won the challenge with 25% of the total votes. You may find a lot more pictures from Benny's model, at his Brickshelf gallery, here. Nevertheless let me take the chance and feature the videos from the models which ranked in the next three positions of the contest. From left to right: jpsindustrie, TechyMind and tony_st170. Definitely a great inspiration for an official LEGO Technic model, which was almost unexplored by TLG. Just remember the B-model from set 8828.
and don't forget the 8271-B either! But all of small size and always as a B-model. Definitely it seems there is room for a larger Grader, as a main model.